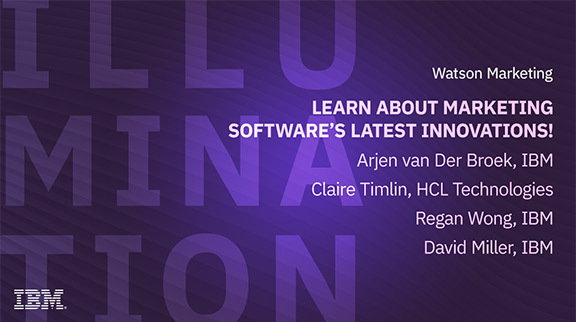 Client Community: Learn about Marketing Software’s latest innovations! IBM Watson Marketing is excited to announce the availability of our newest IBM Marketing Software (IMS) solutions, version 11. IMS products include IBM Campaign, IBM Interact and others. Join IBM Offering Management leaders for an enlightening and detailed discussion of the new evolutions which became available in late Q2, 2018.